This issue marks a significant milestone for our publication: 10 full years since we began. From our humble beginnings as a NSW social golf publication, (originally titled Inside Social Golf), Inside Golf has grown throughout the years to become (officially) Australia’s Most Read Golf Magazine. Having been involved with the publication from very early on (my first contribution was in issue 16 in 2006) I’ve seen the magazine (and its team) grow rapidly throughout the years, and I’m extremely proud of what the entire team has accomplished—especially considering the strife that has plagued many other print magazines in this “digital age”. Indeed, our amazing success is living proof that a print magazine can not only survive in a digital world, but it can absolutely thrive and prosper. Leading up to this monumental 120th issue, we’ve been inundated with congratulatory messages and emails from throughout the industry. We’ve included them in the following pages. It has been truly moving to see all the warm wishes and positive messages from across Australia, and it has definitely inspired us to try even harder for the next 10 years! Of course, as always, we’d like to thank you, our loyal readers and advertisers, for your continued support, and we’re excited to see where the next 120 issues will take us! Hearty congratulations to Richard Fellner and the team at Inside Golf on the 10th anniversary of a publication that is not just a magazine … it’s an institution in golf. Inside Golf is essential reading and it is also an important resource for the golf-loving masses, with its informative reads and truckloads of information. It has become a huge part of the fabric of Australian golf clubs the length and breadth of this country. It’s hard to imagine any golf club without a few copies of Inside Golf being browsed in the locker rooms. So, bravo to Inside Golf on 10 wonderful years, and happy birthday! Congratulations to Sam, Richard and the team at Inside Golf for their continued success in golf publishing. The support you have provided to all branches of the Australian golf industry is without peer. The publication reaches across all providers and consumers of golf products and services. It gives us tremendous reach into our customer market and it is great to see it so widely available in golf clubs around the country. We look forward to a continuing partnership with a pillar of the golf publishing industry. I wish you every success for the next ten years. Congratulations on turning 10! A great achievement that all involved should take immense pride in. Your publication provides a valuable channel for Golf NSW to recognise the many volunteers, sponsors and participants of our various programs and events, as well as providing interesting commentary and public opinion on the challenges golf clubs and their members encounter. Inside Golf has established itself as a respected voice within the golfing industry and we look forward to the next 10 years. Congratulations to Sam Arthur and the Inside Golf team on the historic release of the 120th edition. A great supporter of the industry for 10 years now, Inside Golf has played an integral role in connecting the industry with Golf Club Members nationally. On behalf of Golf Management Australia Ltd, I would firstly like to congratulate the team at Inside Golf on attaining its 10th anniversary – a wonderful achievement in this technological age! Inside Golf has proven to be a vital communication tool for so many organisations and clubs in the golf industry and we hope it continues to thrive and prosper. Please also record our appreciation to all your advertisers who play such an important part in keeping this great publication “on the shelves” for members of golf clubs throughout the country. Congratulations on this tremendous milestone for Inside Golf Magazine. Your publication distribution and grass roots approach with your magazine is a great contribution to the game of golf and we especially love the local content, updates and information Inside Golf continues to provide. Thank you for a great working relationship with many years to come and congratulations again onachieving this great milestone. I’d like to congratulate Sam and the team at Inside Golf on reaching a significant milestone of their 10th anniversary. In the digital age it’s good to see a print publication going from strength to strength. Not surprising really, Sam and his team offer a great product but more importantly back it up with good customer service. All the best for the next 10 years Inside Golf. It has been terrific working with the team at Inside Golf. Your professionalism, passion for the sport of golf, and genuine interest in the Clubs with which you create relationships, is the reason I believe you have made it to the 10 year anniversary. I wish you well for the next 10 and look forward to continuing to promote our Club through Inside Golf. Happy Anniversary, Sammy. It is rare in life to truly combine business with pleasure but the Inside Golf team really manage to make doing business rewarding and fun. This publication has stood the test of time and everyone at Sporte Leisure wish you all the best for this amazing milestone. Congratulations. Congratulations to Sam, Richard and all the team at Inside Golf on the 10th birthday of your magazine. What you have achieved in 10 years is quite remarkable. Inside Golf is most informative and has something for every golfer. Thomson Perrett thanks you for your contribution to golf in Australia and wishes you every success for the future. Inside Golf has been, and continues to be, a vital platform for Callaway Golf’s advertising program. There are suppliers who will simply provide us with services rendered. Others, on the other hand, will partner us to ensure that we are maximising our spend. This is who Inside Golf are. Sam and the Inside Golf crew are one of the best publication teams out there. We know that our customers read Inside Golf. This is why we continue to advertise with them. In an industry that calls for quick turnarounds and tight deadlines, they continue to show themselves to be a pleasure to work with and a great publication to be aligned with. We envisage that our relationship with them will continue based on complete confidence of their capabilities and approach. We can only assume that we are not the only company who have a similar kind of relationship with the Inside Golf Team. I would just like to take a moment to congratulate Inside Golf and their team of dedicated professional staff, who have been fabulous in helping to establish our brands E.L.K Golf and PowerOn Golf with Australian golfers. Since the launch of our brands in November 2013, Inside Golf has played an important role in getting our message and special offers direct to the heartland of the Australian golfing community with excellent results. Congratulations on your 120th edition and keep up the good work Inside Golf. HAPPY 10th BIRTHDAY to Australia’s best golfing read. Having started advertising with Inside Golf from the very beginning it has been a pleasure to watch it grow from its origins of the niche social golfing market, to its current standing as the most well rounded and informative golfing magazine on the market today. And all that for free to the reader! Congratulations to Sam, Richard and all the team at Inside Golf – may you continue to go from strength to strength. Congratulations Sam, Richard and the team at Inside Golf on a magnificent 10 years of publishing informative commentary on the golfing scene throughout Australia and topical events and issues abroad. It’s always a great read. At Go Golfing we have welcomed the addition of the Travel Supplement and we appreciate your vision and commitment to golf travellers. Good luck for the next 10 years. We never think twice about re-running our advertisements in Inside Golf each month. Great people to work with, and it gives us the exposure we need. Thanks Sam and the IG team. Congratulations on this amazing milestone! This is a full credit to yourself and the team you have developed over this amazing journey. Your magazine continues to mature and always brings new innovations into the space. From my experience Inside Golf is always a pleasure to deal with, a very professional company which maintains a very personal touch. I thank you for all your support and look forward to continuing this great relationship. Well done to Sam Arthur and staff on reaching 10 years. We’ve been associated with Inside Golf from day 1 through advertising our golf packages in Orange, NSW. We’re happy with the response and coverage we’ve received and look forward to working with Inside Golf into the future. You should be extremely proud of your achievements over the 10 years of publishing and driving Inside Golf to be Australia’s #1 Golf Magazine! You have built a fantastic product and given so much back to not only clubs and their members but also to the industry. You have aided an untold number of clubs with extremely generous editorial and advertorial assistance that can never receive the acclaim it deserves. You have set a benchmark for the delivery of services and support to our industry that is unrivalled by any other publisher. I look forward to seeing Inside Golf remain Australia’s #1 Golf Magazine for another 10 years. Congratulations again! From the minute the Inside Golf magazine is delivered, the members are quick to take their copy home. This is a fantastic read, from golfing tips, latest developments in the game, to human interest stories, all adding to the mix of the magazine. A great read from cover to cover. Congratulations. As a supplier to the Golf Industry, Inside Golf is a great platform through which to reach our target audience. As a golf club member, I eagerly await each monthly editions arrival at my club. It’s always packed with all things golf and more! I look forward to the next 120 editions. Congratulations to the entire team at Inside Golf on a great publication and your 10 year milestone. We look forward to contributing content for many years to come. I am a small operator and over the past 9 years have enjoyed working with the Inside Golf team…you have helped me grow my business with a target market of lady golfers. THANK YOU! Congratulations Inside Golf Magazine on your 10 year anniversary. Inside Golf has been a great asset to golfers over the years. The magazine keeps people informed of all that is happening in the golf industry. I learned to play golf from golf tips in a magazine many years ago and know that many players read the golf instructions pages for the same reason. It’s a magazine for young players wanting to start their game right through to seniors needing some helpful advice. Well done on your success. Congratulations to Richard Fellner and the Inside Golf team on their 10th Anniversary. The magazine has certainly developed over the years and with a lot of hard work has become an outstanding resource for Aussie golfers. Congratulations to Inside Golf on reaching the 10 years milestone. Special thanks for the generous space given to promoting senior golf across Australia. Opening the new issue each month is like starting your round with a birdie… well almost! 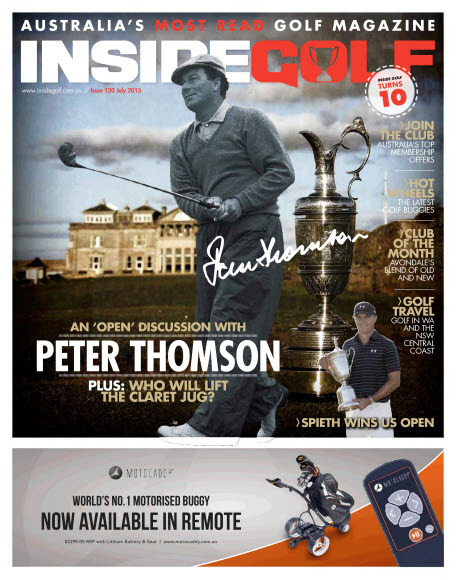 Over the past four years I have worked closely with Inside Golf and all of their team with editorial content and golf facilities in Australia. Inside Golf have been nothing but professional and courteous to deal with. Sam Arthur and Richard Fellner have done a great job with the magazine over the past ten years. Congratulations to everyone involved in the publication on your 10th anniversary. In preparation for launching Biion Footwear in Australia, I spoke with some trusted golf contacts about the best way to drive the launch of a new brand in the current consumer environment. All strongly recommended that I to speak with Inside Golf. I’m glad I listened! Due to the wide coverage and readership, we have achieved excellent cut-through with the target market with high levels of brand awareness built via advertising with Inside Golf. In addition to this we have received world-class levels of customer support from the entire team at Inside Golf, which has always had the best interests of my company at heart. For me, Inside Golf care more about supporting long-term brand development and relationships than focusing on short-term advertising revenue. 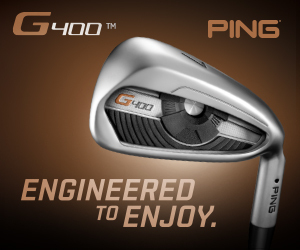 I would strongly recommend them to any company wanting to target the golfing market. Inside Golf continues to source golfers for our annual Mornington Peninsula Golf Classic. Sam and the whole team provide excellent customer service, are responsive to our requests and go above and beyond a purely “sales” focus. They genuinely care about the success of our business. Inside Golf has worked for us (last year over 25% of golfers playing in the Classic said they heard about the tournament through Inside Golf) and the magazine will continue to be a key component of our marketing strategy. Congratulations to the whole team on your 10th anniversary for providing a quality read for golfers. Well done on your 10 year anniversary it’s a real achievement. At Handiskins we know only too well how hard it is to start up a new business in the golfing industry. 10 years is such an achievement. Inside Golf and Sam are all about helping and informing everyone in the industry with great stories, the latest equipment and support. Travelling around golf clubs as I do, I get to see firsthand the impact Inside Golf has on club golfers. I congratulate Inside Golf on their first 10 years and wish Inside Golf all the best for another fantastic 10 years. I hope that through Sam’s support that Handiskins can stand alongside Inside Golf as an industry leader when we reach 10 years . Thanks for your support Sam! Advertising with Inside Golf has been a great experience, we have been working closely with our fantastic rep, David Ross, and developed a great relationship with him and the magazine and that’s what it’s all about: developing relationships. As a new product we had a lot of interest from all the major magazines, but only Inside Golf took the time to understand where we were coming from. We genuinely feel that they wanted to help us become successful and worked with us beyond the scope of the competition. We look forward to working closely with them into the future and are enjoying the response we have from our carefully-tailored advertising campaign – Thanks Sam, David and all the guys at Inside Golf. You’ll always find copies of Inside Golf Magazine gracing the coffee tables Noosa Springs Golf & Spa Resort. Not only is it an enjoyable, informative read for our clientele but its circulation and distribution reach makes it an eminently attractive publication to spread the word about one of Australia’s best stay and play resort courses. A decade in print is a great achievement and we look forward to continuing our association with Inside Golf Magazine well into the future. Congratulations on reaching your milestone 10th anniversary of the magazine. It has been good to watch this magazine grow over the years from a humble “social golf” focussed magazine to the leader in industry news and reviews it is today. Warren (Wazza) Gray on behalf of Pitch and Putt golfers everywhere.